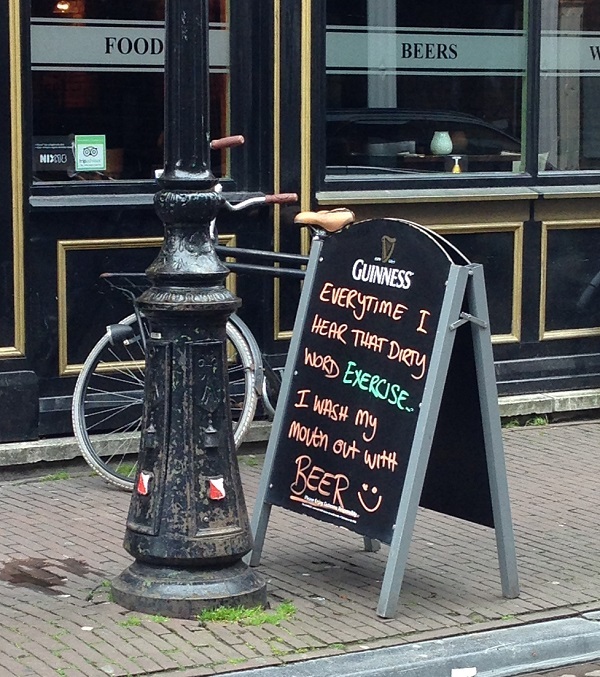 Marco and I went to Utrecht on Saturday. 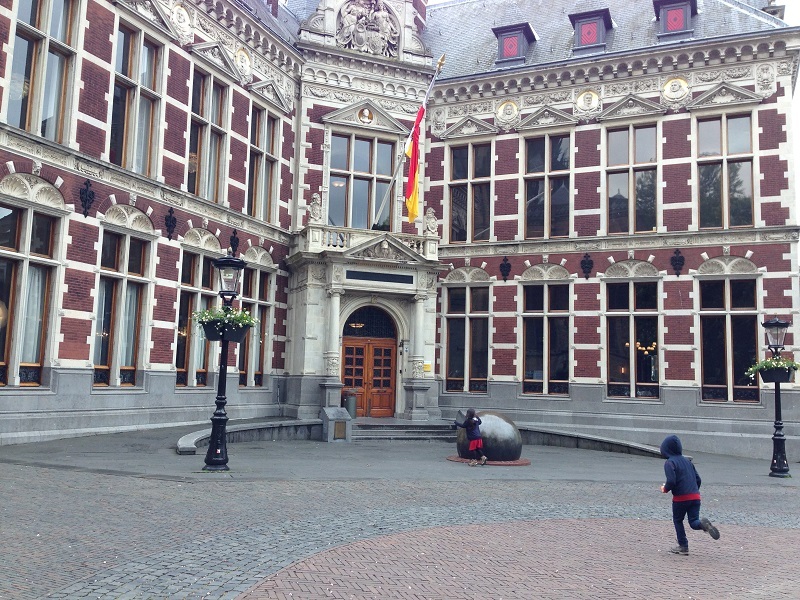 We had previously gone to Utrecht last year but we made the mistake of visiting on a Monday — most shops tend to be closed or have reduced opening hours on Mondays. Plus the weather was bad and their was construction around the Domplein so it was not quite what we hoped. This time it worked out for the better. Marco and I had train ticket vouchers (dag weekend vrij / one weekend day free pass) that needed to be used this past weekend. We first stopped at the VVV office (a tourism office) to pick up a €5 walking tour booklet. 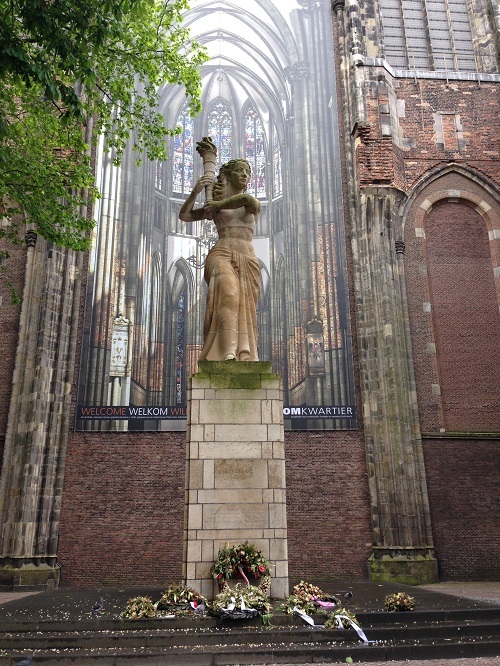 A statue on the Domplein commemorating WWII. Behind is an image against the side of the wall, but it almost creates the illusion that you are looking inside the church itself. 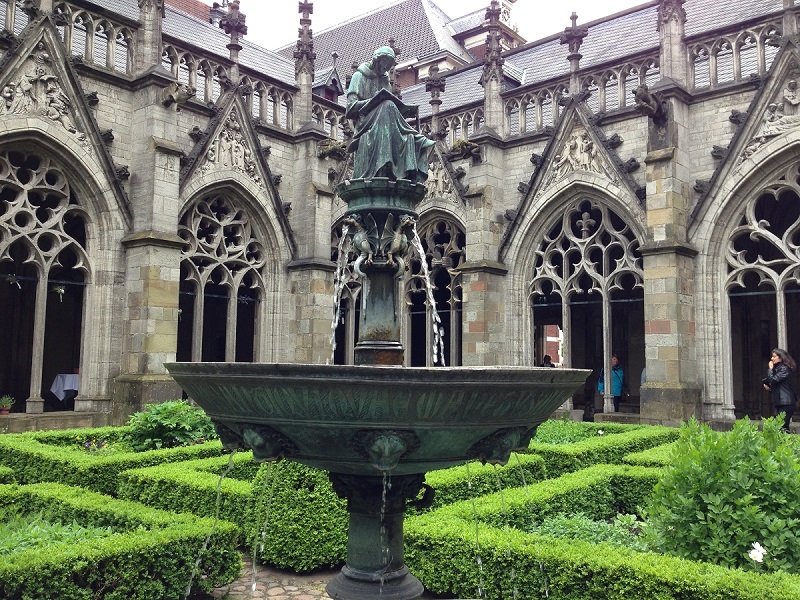 Actually in the place where the statue currently is you could previously find the nave of the church, but that part of it was destroyed back in the 1600s. (Above) Also in the Domplein, you have the Pandhof, a garden area dating back to the 14th-15th century (restored in the 18th century). 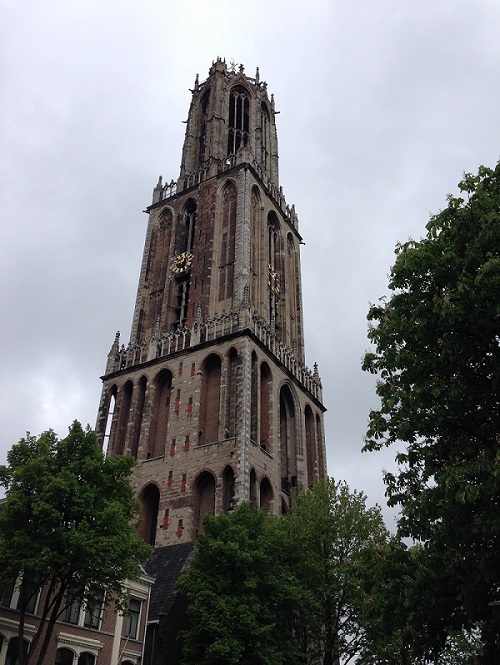 The Domtoren (towers) – from a bit further away. It rises above the city, and if per chance you are standing in a spot where it can not be seen, more than likely it can be heard. The church bells were all but continuous when we were in the area. Above you have the main academic building of Utrecht University, built in the late 19th century. 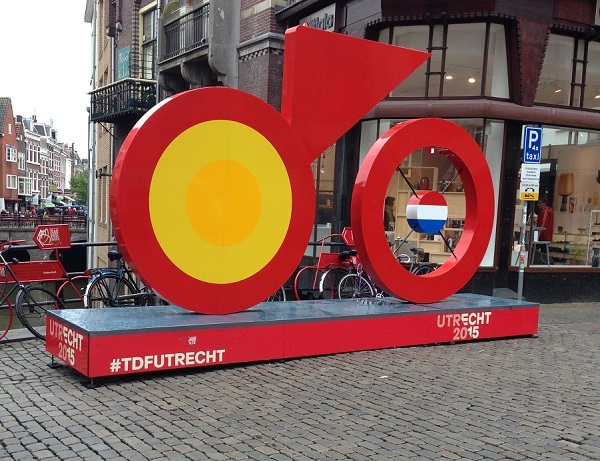 If you didn’t know the Tour de France was starting in Utrecht this year, well, now you do. 🙂 Stage 1 and stage 2 will be held in the city.